Located in Albuquerque, in New Mexico’s rustic North Valley, OptiSource, LLC is well into its second decade of providing a wide range of optical components for some of the most exacting requirements in the photonics industry. Since opening in 1997 and concentrating on providing crystal quartz waveplates and polarization rotators for the industry, OptiSource has expanded its offerings to include bare and laminated mica waveplates, achromatic waveplates, windows, mirrors, lenses, prisms, and simple optical assemblies. 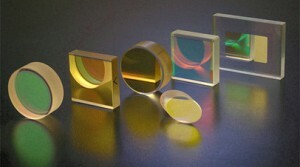 OptiSource has been fortunate to partner with a number of top photonics companies and catalog houses worldwide. As OptiSource enters its third decade, the photonics industries have experienced significant growth, and OptiSource has benefitted from the industry’s growth. Situation: In October 2015, employees of OptiSource attended a workshop about lean manufacturing principles presented by New Mexico MEP. After the workshop, the production manager at OptiSource, Cindy Romero, implemented several of the lean manufacturing techniques learned in the workshop. The operation experienced significant improvements in throughput and cycle time. However, Cindy realized that OptiSource was capable of even greater throughput and cycle time improvements. Solution: Cindy and the engineering manager, Kevin Christensen requested assistance from New Mexico MEP to refine the improvements that Cindy and her manufacturing team had implemented. First, New Mexico MEP, Cindy, and Kevin along with other key employees at OptiSource, created a value stream map (VSM) of the process. The VSM helped clarify the understanding of the process and identify potential improvements. Those improvements included refinements to the pull system that Cindy had previously implemented, the creation of supermarkets at the end of the front part of the process in order to shorten response time, the creation of scheduling methods to assure that the correct work is moving to satisfy customers, and the differentiation of the paths that different product families follow. Results: The work that Cindy and her team completed produced nearly $15,000 of financial impacts in the areas of process improvement, workforce development, and the improvements resulted in smoother operations and smoother flow of product through the line. The team was also able to effectively increase capacity, provide better on-time delivery, and offer better responsiveness to customers. The training of New Mexico MEP and the mentorship of Ron Burke, coupled with Cindy’s energy and hard work, have significantly improved the production environment and throughput of the company. In working with NM MEP, we have been able to lower lead times and better utilize raw materials. We have changed our material buys from annual requirements to three- or four-month horizons. Quality has increased 11% in throughput, and we are finding that our technicians are recognizing quality problems “real time” or in-process as opposed to wondering what happened at the end of the fabrication cycle. There was initial resistance as we have a long tenured workforce, but through Cindy’s perseverance, they have come to accept the lean manufacturing system. They have also realized that it is making their jobs easier in that the priorities are set by the flow of work. We still have work to do in perfecting the process for our fabrication environment, but now that the employees have seen the benefits, we are on our way towards increased profits and reduced stress levels in the environment because we are developing a more efficient corporate culture. New Mexico MEP Partnership for Success is a no-cost technical assistance service that provides technical, business, research and information assistance quickly and easily. The service includes an email newsletter and an on-line library of information with a database of technical business and engineering documents and resources. Click here to sign up. As a NIST MEP approved Center, New Mexico MEP is the official representative of the MEP National Network TM in New Mexico. The MEP National Network is a unique public private partnership that delivers comprehensive, proven solutions to U.S. manufacturers, fueling growth and advancing U.S. manufacturing. Focused on helping small and mid sized manufacturers generate business results and thrive in today’s technology driven economy, the MEP National Network comp rises the National Institute of Standards and Technology’s Manufacturing Extension Partnership (NIST MEP), 51 MEP Centers located in all 50 states and Puerto Rico, and its 1,300 trusted advisors and experts at nearly 600 MEP service locations, providing any U.S. manufacturer with access to resources they need to succeed.